Whether you are a parent of a child who has cancer or if you are the cancer patient, you need to be able to have all the tools available to you to help you and your child navigate this new "normal". Whether you're a parent of a child who has cancer or if you're the cancer patient, you need to be able to have all the tools available to you to help you and your child navigate this new "normal." Click on one of the following topics to find books that can help you and your child cope. Childhood Leukemia Guide for Families, Friends and Caregivers, 4th ed. This most complete parent guide provides detailed and precise medical information about leukemia and the various treatment options, but also day-to-day practical advice on how to cope with procedures, hospitalization, family and friends, school, social and financial issues, communication, feelings, and, if therapy is not successful, the difficult issues of death and bereavement. Included are medical details and practical advice from the voices of more than 150 parents and children who have lived with leukemia and its treatments. This book offers tools for parents and caregivers to develop into a strong advocates. It also contains a personal treatment summary and long-term follow-up guide for your child to keep as a permanent record. This book is a resource for parents of children with cancer and their teachers. It is written by top experts in the field and is accompanied by 100 parent stories. Topics such as school re-entry, neuropsychological testing, special education and the law and how to help siblings in the classroom are addressed. Advice for parents who are raising children while at the same time coping with a life-challenging illness. Includes a special book for children: Becky and the Worry Cup. Childhood Cancer Survivors: A Practical Guide to Your Future, 3rd ed. The treatments used to cure cancer in children can affect their growing bodies and developing minds. This book provides information on medical late effects from treatment, emotional aspects of surviving cancer, schedules for follow-up care, challenges in the healthcare system, lifestyle choices to maximize health and discrimination in employment or insurance. [Home Care for Seriously Ill Children: A Manual for Parents] Prepared by D. Gay Moldow, R.N., M.S.W. and Ida M. Martinson, R.N., Ph.D., F.A.N.N., and revised by Stacy Orloff, Ed.D., L.C.S.W and Susan M. Huff, R.N., M.S.N. This helpful publication of the Children's Hospice International covers topics such as physical care for the seriously ill child at home, psychosocial concerns, end-of-life concerns and self-care for caregivers. [Shelter from the Storm: Caring for a Child with a Life-Threatening Condition] By Joanne Hilden, M.D., and Daniel R. Tobin, M.D. Professional expertise and practical support are given with a sensitive exploration of palliative care and peaceful dying. 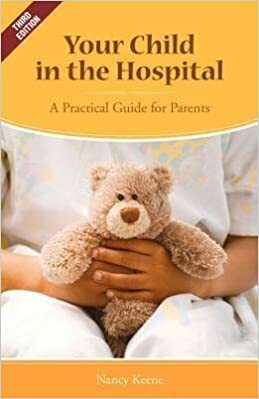 Your Child in the Hospital: A Practical Guide for Parents, 3rd ed. Your Child in the Hospital is full of helpful tips and home-grown wisdom that will make any visit to the hospital easier. It explains how to prepare your child, cope with procedures, plan for surgery, communicate with doctors and nurses, and deal with bills and insurance. Woven throughout the text are dozens of practical and encouraging stories form parents whose child has been hospitalized. Throughout, there is a perspective on hope that will strengthen the family. A list of resources and an extensive bibliography are included. This book documents a teenager's battle with Hodgkin's disease as told by his mother, Leslie Bowden, to bring hope to others as Brian Bowden is now five years post-chemotherapy, living a full and happy life.